An experimental Ebola vaccine will likely be used again in the Democratic Republic of the Congo (DRC) to help end an outbreak. Roughly a week after celebrating the defeat of an Ebola outbreak in Équateur province, the DRC has four new confirmed cases of the disease 2500 kilometers across the country in North Kivu province. The DRC’s health ministry says there’s no indication of a link between the outbreaks. “It’s sad,” says Yap Boum, a microbiologist based in Yaoundé who works with Doctors Without Borders, a nongovernmental organization that helped run an Ebola vaccine campaign against the previous outbreak. A DRC Ministry of Public Health spokesperson told Science Insider today that the decision to use the vaccine again was “common sense” because they had remaining doses in stock and scientific and ethical committees already have approved its continued study. The Équateur “trial” of the vaccine had no control group and cannot conclude whether it contributed to the end of that outbreak, but preliminary results show that none of the 3300 vaccinated people became infected. Ebola is endemic in the DRC, which now has had 10 outbreaks since the virus first was discovered there in 1976. “Although we did not expect to face a 10th epidemic so early, the detection of the virus is an indicator of the proper functioning of the surveillance system,” a DRC Ministry of Public Health communique said. Boum adds that the DRC villages today are much more connected than in the past, and many previous small outbreaks may have gone undetected. The current outbreak is centered in Mangina, a village about 30 kilometers from the city of Béni, which is close to the famed Virunga National Park and the border of Uganda. The North Kivu health division notified the DRC Ministry of Public Health on 28 July that there were 26 cases of hemorrhagic fever in the area, with 20 deaths. The National Institute of Biomedical Research in Kinshasa confirmed that samples from four hospitalized patients tested positive for Ebola. Four Ebolavirus species cause disease in humans. In the last DRC outbreak, which was brought to a halt in 2 months after only 54 cases and 33 deaths, physicians and health officials for the first time used an experimental Ebola vaccine as part of the initial response, in addition to traditional surveillance and containment efforts. The vaccine is made from the Zaire species of the virus, which the ministry tells Science is the species circulating in Mangina, and was also responsible for the Équateur outbreak. The vaccine proved highly effective in 2015 during an epidemic of the Zaire species in Guinea, but has yet to receive approval from any regulatory body. Peter Salama, head of the World Health Organization’s Health Emergencies Programme in Geneva, Switzerland, and the lead official during the agency’s response to the just-ended outbreak, noted at a press conference Friday morning that a vaccine campaign still faces several hurdles. He cautioned that although it’s “very likely” the current outbreak is caused by the Zaire species, researchers won’t know for certain until they complete the sequencing of the virus. That should occur by 7 August, he said. Salama said there are 3000 doses of the vaccine in Kinshasa in deep-freeze that could be sent to the outbreak area within hours. 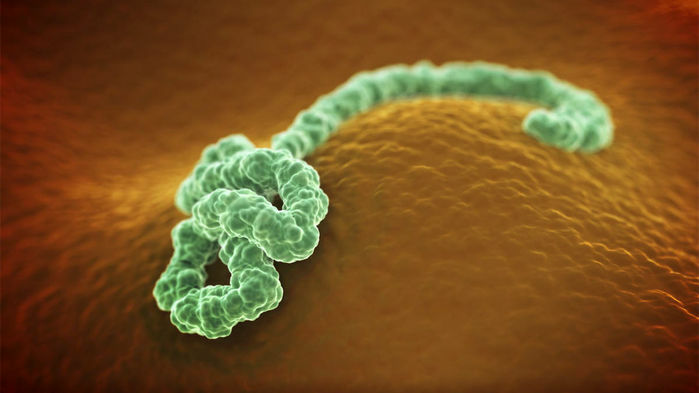 Salama said the “signal event” that alerted health officials to this outbreak was a 65-year-old woman in Mangina who apparently died from Ebola on 25 July. Following her unsafe burial, seven relatives died. He noted that a mobile lab arrived in Béni, DRC, on 2 August, which should speed the confirmation of suspected cases. The DRC Ministry of Public Health noted in a communique that the country has experimental Ebola therapies, but they are not already approved for use in clinical trials, unlike the vaccine. Instead, scientific and ethical committees must make complicated decisions about how to test them and who should receive the drugs.